So you’ve made it to Hollywood Studios. You and your family have braved the journey down to Disney World, you’ve gotten to your hotel safe and sound, and you are ready to take on Disney’s Hollywood Studios. 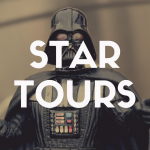 If you’ve never been to Hollywood Studios – or Disney in general – you might feel a bit overwhelmed at all the possibilities, especially your options for food. 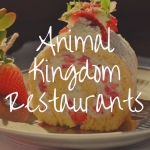 Each park specializes in a certain kind of cuisine. 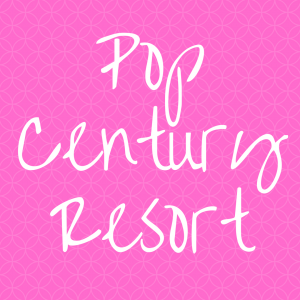 It may not seem obvious at first, but everything at Disney is planned to fit their theme. Magic Kingdom features sweets and all the iconic Disney treats. Epcot includes cuisine from all the countries in the World Showcase. Hollywood Studios focuses on the American filmmaking experience in their park, and the food fits right in. This park really prides itself on its ability to transform the space into Hollywood in the 1950s, and the dining options reflect that. You’ll find a lot of diners featuring milkshakes and burgers. If you’re looking for a unique snack to fill you up during your visit, though, you’re in luck. 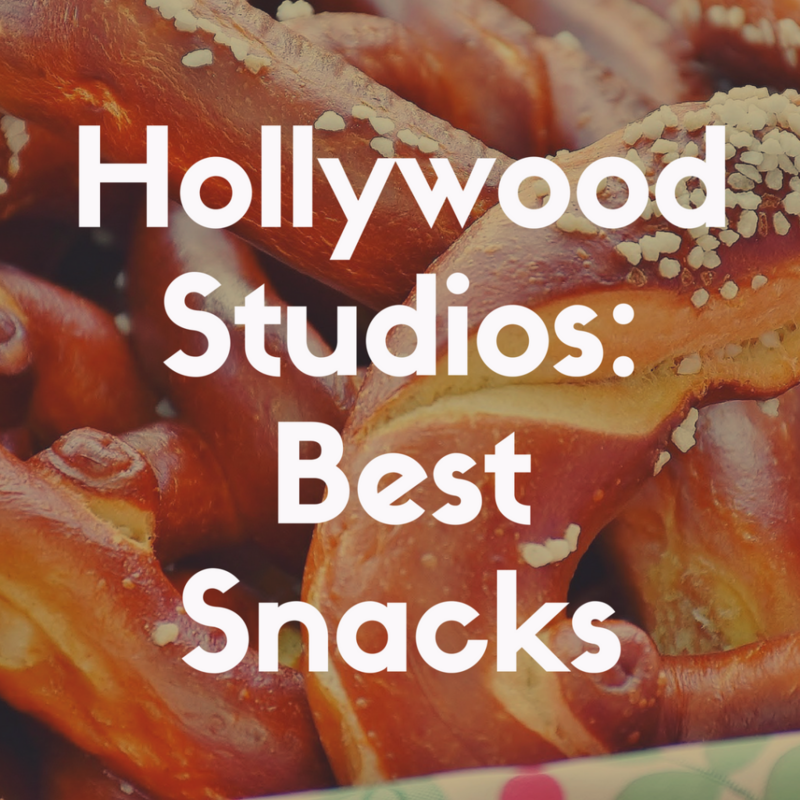 In this article, you will find the ten best snacks at Disney’s Hollywood Studios; each fills a niche in the Disney snack market, including Hollywood Studios exclusives and iconic Disney World food alike. If you’ve never been to Disney before, you are in for a treat. The first thing you should do when you enter any of the parks is find the nearest popcorn stand and buy a big bucket of popcorn. Buckets of popcorn at Hollywood Studios are available on Hollywood Boulevard right when you walk into the park, so it’ll be easy for you to find. 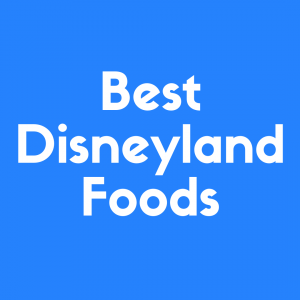 You may be wondering why simple popcorn is on this list; Disney’s popcorn is somehow better than any other popcorn on the planet. It’s buttery, not too salty, and is perfect to snack on as you’re strolling through the park with your family. You can also purchase specialty buckets to hold your popcorn. Hollywood Studio’s buckets feature Star Wars characters usually. There are two features of Disney’s popcorn that make it exceptional. Firstly, it’s made using coconut, corn, and canola oil which means that it’s gluten-free and vegan. If you have diet restrictions, this is a game changer. A lot of the food at Disney contains gluten, but you’ll always have a guaranteed snack because of this popcorn if you can’t consume gluten. Secondly, it’s pretty cheap! For roughly $5.00, you get an entire bucket of popcorn that will last you throughout the day. You may be tempted to feed the birds of the park this tasty treat but resist the urge! It isn’t good for the birds and you’ll have one less piece for yourself. Eating at Disney World is easy enough, but what are the drinks that will really quench your thirst? One of the best is the Frozen Minute Maid® Lemonade from KRNR The Rock Station. If you’re wondering about the name of the restaurant, it’s supposed to resemble a radio station’s title. 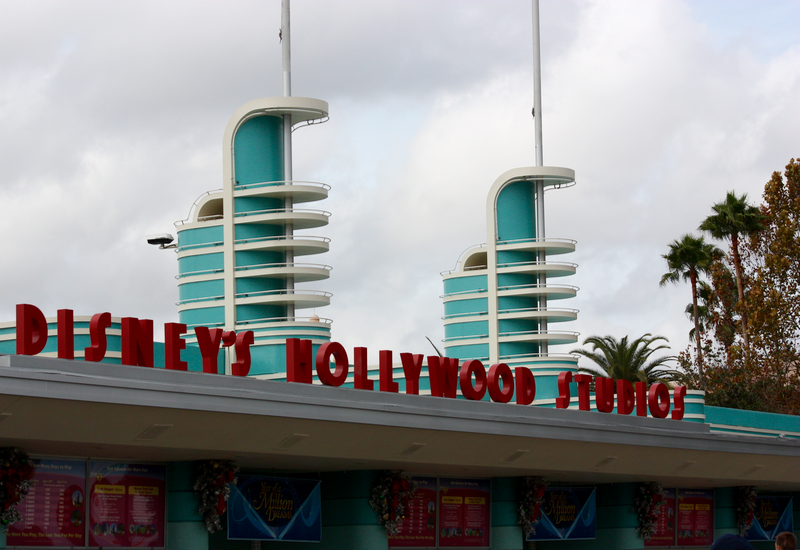 It builds on the entertainment theme throughout Hollywood Studios. The lemonade itself isn’t exclusive to KRNR The Rock Station, but it’s a small shop that usually doesn’t have too many people. The frozen lemonade costs about $5.00, so it’s relatively inexpensive compared to some of the other drinks – especially the bottles of water. Most importantly, it will cool you down. Anaheim Produce, mostly known for their fresh fruit, carries the iconic Mickey pretzel. If you haven’t seen one before, this pretzel tastes like a normal pretzel, but it’s twisted in the shape of Mickey’s head. It also comes with a cheese sauce to dunk your pretzel in, and that really takes it to the next level. They’re also great for taking pictures if you can wait to eat it. They run for about $6.00. You can, of course, get fresh fruit at this stand if you’re craving something healthy, but you’re on vacation! Treat yourself to a pretzel shaped like Mickey’s smiling face. Hollywood Scoops is the resident ice cream shop of Hollywood Studios and it contains a wide variety of ice creams for you to choose from. You can get a regular cone with whatever flavor you’d like, but if you really want something special, go for the brownie sundae. It costs about $7.00 but is well worth the price. Old-fashioned vanilla ice cream acts as the base for a delicious chocolate brownie covered in whipped cream and hot fudge. It’s a simple dessert, but when you’re in Hollywood Studios, you’ll want to feel like your back at home in your mom’s kitchen after a long day outside – this dessert perfectly replicates that feeling. This is one of the more expensive items on this list. Ringing in around $12.00, it may seem like a lot, but for everything you get on the hot dog, it’s a fair price. You start off with an all-beef foot long hot dog, then they add pulled pork and coleslaw to the top. It comes with chips to chase down your dog. It’s a quick service restaurant, so you can take your hot dog with you. It’s perfect if you’re looking something more filling, but don’t want to spend your time in a sit-down restaurant. The Dockside Diner creates a charming atmosphere, so you’re sure to enjoy the scenery while you’re waiting for your dog. Its maritime decoration makes you like you’re really out on a dock fresh off the boat from a fishing trip. Another Disney staple snack comes from the Oasis Canteen. Themed around Indiana Jones, the canteen mostly stocks beverages, but they also have the delicious Disney funnel cakes. You can get the funnel cake with just powdered sugar, but if you want something extra, you can also get it with strawberries and cream or cookies and cream ice cream. All choices are phenomenal, so you can’t go wrong with any choice. The prices range from around $7.00 to $9.00 depending on the toppings you get. This snack is good for pick-me-up before the Indiana Jones Epic Stunt Spectacular. The show takes an hour, so you’ll want something to eat to keep you focused on the show itself. If you’re craving something sweet and savory, definitely give these chicken and waffles a try. The Backlot Express features Star Wars cuisine and the chicken and waffles is no exception. Included in your meal, you receive breaded chicken, maple syrup, and waffles with Darth Vader pressed into them. You get a healthy serving of chicken, plus two waffles, so this is a heavier snack but one that’s well worth the weight. Disney’s waffles are something magical; there’s something about them that just fills you with joy when you take a bite. They practically melt in your mouth. Plus, if you’re a Star Wars fan, you’ll love the themed drinks at the restaurant. The Padawan Limeade goes great with the chicken and waffles. Your food will cost about $12.00 if you just get the tasty Dark Side meal. If you do decide to get a drink, you can purchase a BB-8 souvenir stein to put it in. With the opening of Toy Story Land in Hollywood Studios last June, a wave of Toy Story items arrived at the park. One of these is the Toy Story cupcake from Catalina Eddie’s. Your sweet tooth will surely be satisfied by this tasty treat. It’s a chocolate cupcake iced with vanilla buttercream, but it’s so much more than a regular cupcake. The vanilla buttercream is dyed blue and topped with candy balls – one of which resembles Andy’s rubber ball. The whole thing is wrapped in paper that looks like the wood grain of Andy’s room, and a Toy Story Land sugar decoration sits on top. It’s a beautiful cupcake that tastes as good as it looks. It costs about $5.00, which is a little pricey for a cupcake, but you’re paying for the whole package, not just the cupcake itself. Upon eating this treat, you’ll feel like you just attended Andy’s birthday party at Pizza Planet. Haven’t had your fill of cupcakes yet? Don’t worry, there’s another one floating around Hollywood Studios that you won’t want to miss. The Incredibles cupcake from Rosie’s All-American Café will make your mouth water. It’s a red velvet cupcake – perfect for the Incredibles – with cream cheese buttercream on top. The red of the cupcake paired with the yellow cream cheese buttercream go together perfectly, and its all topped with chocolate shavings and a chocolate Incredibles logo. This cupcake is around $6.00, but the rich red velvet cupcake and the mound of buttercream on top make it worth the price. Plus, the chocolate Incredibles logo is cute. For this last treat, you’ll want to stick around Rosie’s All-American Café. Their strawberry shortcake is truly delicious. Disney does traditional desserts right, and the strawberry shortcake is no exception. It’s got just the right amount of sweetness to keep your taste buds happy. It’s also one of the least expensive desserts on this list, coming in around $4.30. You’ll love the texture of the cake mixed with the strawberries and frosting. It’s a wonderful treat to indulge in after going on the Tower of Terror. You’ll certainly need something sweet after that thrill ride! These snacks are in no particular order, but each deliver exactly what you expect from your trip to Disney. 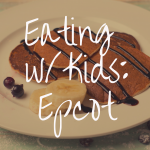 You should know that not all of these snacks are included in Disney’s meal plans, so it’s always good to double check on Disney’s website before you go. Most meal plans cover these snacks, but it’s always good practice to know which restaurants are included in your meal plan before you decide where you’d like to eat. One of the greatest things about Disney is its variety of foods. There is truly something for everyone at any one of the parks. If you have diet restrictions, there are usually menus available upon request when you enter a restaurant, or you could check forums before you go to help you plan out your trip. 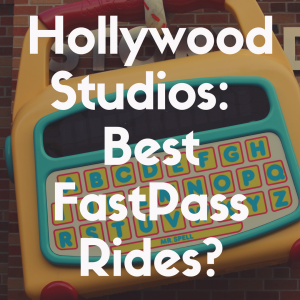 Either way, you’re sure to find something you enjoy at Hollywood Studios. And, you’ll always be able to eat the popcorn!